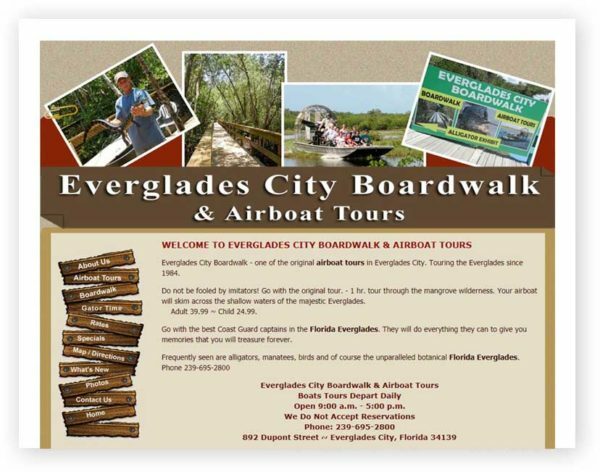 One of the original Airboat tours in Everglades City. Jungle Erv’s is a fun and thrilling airboat tour through the Forida Everglades. Tours are approximate one hour through the marshlands. Our tours are on private property and take you where only Jungle Erv’s can take you. Jungle Erv is a fifth generation dating back to the 1800’s. Our captains are experienced and knowledgeable natives also. They all grew up with the alligators, bird life and lifestyle that is the Everglades.